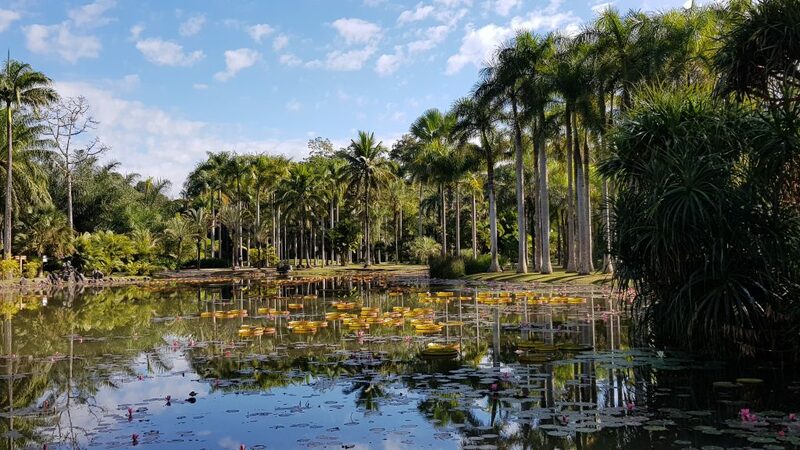 Earlier this month, the RBGE’s Deputy Keeper and Director of Science, Professor Pete Hollingsworth, travelled to China to join an influential meeting at the beautiful Xishuangbanna Tropical Botanical Garden (XTBG) in southern Yunnan. The five-yearly Xishuangbanna International Symposium is an important platform for cutting-edge research and topical issues in biodiversity conservation, particularly through botanical gardens. 2019’s meeting was the fourth and perhaps most ambitious, with the strapline Saving All the Plants in a Changing World. It started from the premise that, today, there is no technical reason why any plant species, anywhere in the world, should go extinct. With this in mind, the symposium – which coincided with XTBG’s sixtieth anniversary celebrations – addressed how botanical gardens can play a leading role in plant conservation, through policy development, education, scientific innovation and conservation action. Joining a global line-up of speakers including Peter Wyse Jackson of Missouri Botanical Garden, USA, Jinghua Cao and Keping Ma of the Chinese Academy of Sciences, Sam Brockington of the University of Cambridge, Valerie Pence of Cincinnati Zoo and Botanic Garden, Chuck Cannon of The Morton Arboretum, USA, Rakan Zahawi of Lyon Botanical Garden, Hawaii, and Paul Smith of Botanic Gardens Conservation International, Professor Hollingsworth spoke on behalf of the international attendees to commend the excellent scientific, horticultural, conservation, and education work that has been carried out at XTBG over the past sixty years. He then gave insights from his own field of research: conservation genetics and genomics. Genetics and genomics have a key role to play as a focus of, and tool for, conservation. Genetic diversity has been recognised in the United Nations’ Convention on Biodiversity’s ‘Aichi Targets,’ which stipulate that strategies must urgently be developed and implemented to safeguard, and minimise losses, of genetic diversity. And, as a tool, DNA-based methods provide increasingly rapid and accurate means to identify discrete species, the first step in any conservation action. The Xishuangbanna symposium culminated in a Declaration on Plant Conservation (which can be downloaded here), stating that the “extinction of any known plant species is inexcusable” and that botanical gardens, with their unique combination of expertise, experience, skills, and resources, have a crucial and growing role to play in plant conservation. RBGE scientists play a significant part in many of the activities urgently proposed in the Declaration – particularly in accelerating the global plant species inventory, for instance through completing the World Flora Online, of which we are a consortium member; completing assessments of the risk of extinction for all known plant species; and supporting the development of effective species identification tools to improve the protection of species threatened by illegal or unregulated trade. The declaration concludes with a call for all botanical gardens to put plant conservation as a top priority to ensure that no plant species goes extinct, an aim which goes right to the heart of the RBGE mission and vision.